"I think this looks fantastic. I approve of all of it, go get 'er done!" 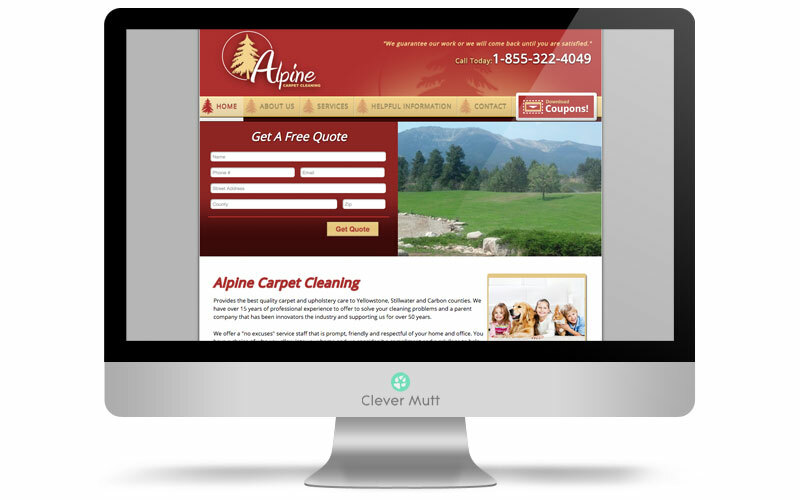 Alpine Carpet Cleaning hired Clever Mutt™ to create a fresh new website with complex quote request form and to provide rapid-response website maintenance services. In today's technology-driven society, a website is often the first place an individual will turn for information. The Athens Municipal Water Authority couldn't leave that all important first impression up to just any web designers. Chris and Tiffani Hill and the staff at Clever Mutt™ were selected because of their professionalism, integrity, skills, and yes, cost effectiveness. 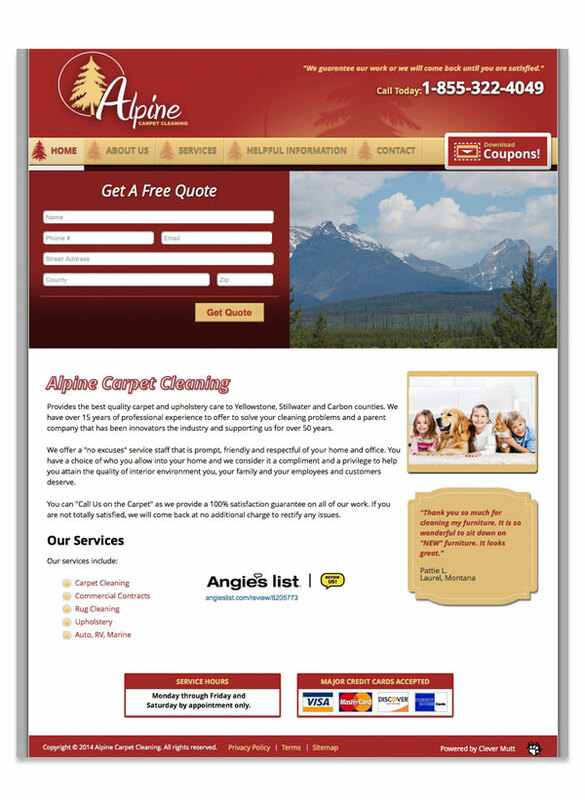 I was honored to work with their direction to create an outstanding presence on the web for our company! Extremely quick and efficient, thanks guys! A big thank you! I would really like to thank you for your help and support. You have blown me away! I can honestly say I expected a vision that is far from anything I've seen, because Clever Mutt™ is the best, however, I in a million years never thought that designing a web site could complete my vision as this product is special to me for a number of reasons, but to tell the world EXACTLY what I feel and for them to openly share it... you are incredibly gifted. Thanks for everything so far! Sites look good, and seem to function really well. The Clever Mutt™ Team continues to impress me with their attention to detail and initiative. That type of effort is what I would expect out of a good employee but not what I am accustomed to receiving from third parties. Thank you for your excellent customer service. I am soooooooo glad I chose Clever Mutt™ as my website developer, and I will definitely be recommending you to anybody that will listen. Thanks again for being there! This is why we went with you guys. I had to write to you and say 'thank you', it is very nice! Good job. I actually had a potential Fortune 150 customer the other day call me and state based upon the look of our website that we may be too high tech for them. I took that as a compliment! So thank you again for what you have done, we are proud to refer someone to the website. Clever Mutt™ has been very informative and patient during this entire experience of designing a website to suit our needs. We here at The Escape in Athens Texas want to thank you for such a great job! Excellent customer service! Exceptional attention to detail. We have used Clever Mutt™ for many years and have always had great customer service. We have never had any negative issues. Their team does fantastic with creativity and fast response time. 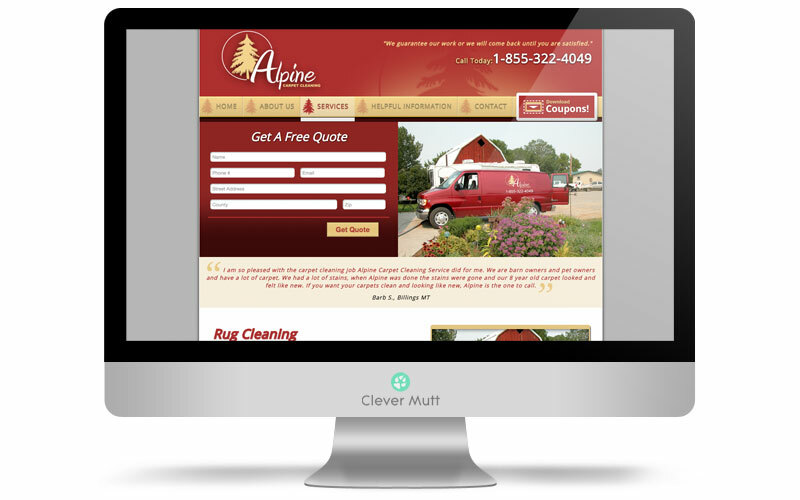 I will always be partners with Clever Mutt™ for all our business internet web services. Thanks for all the work you've done and for listening to me! The proofs are great! Can't wait to see it when we launch it! I really appreciate the very quick response! It was utterly refreshing to work with a technology partner that worked constantly to suit our individual needs. Thank you for the quick responses. I appreciate you and your good work. Oh my gosh, are you kidding me? You guys are beyond great!!! ...I very much doubt there is any better company than Clever Mutt™. The quality is the best! Thanks Clever Mutt™! The site looks great on all devices, wish we'd found you sooner! This company has some of the best customer service I have ever seen. Thank you so much for building our awesome website. As you can tell, I absolutely love it.....you made all of my crazy dreams come true with our site and I can't wait to share it with others! Thank you for all the hard work you are putting into designing the Mirabella website. It is AMAZING! We can't wait to show it off to everyone. A superior product and great people. There's no better company to make your website for your business. I cannot wait to begin to show our new web software platform to potential clients, old clients, and to our team. I believe this will take all that we do to a new, next level! The final product has met and exceeded our expectations. We are very proud of the website and so grateful we were steered your way. We know we are in good hands and minds.